Over many years the primary and secondary schools in the Sherburn and Tadcaster area have worked informally together sharing training, resources and facilities as opportunities arise. It has become clear that our schools will benefit from a more formal system of partnership. Recently, governors and headteachers have carefully explored ways for our schools to work together in a way that goes beyond simple sharing of resources and commits us to a strategic plan of transforming school improvement in our locality. We want to ensure that every child and young person in education in the Sherburn, Tadcaster and surrounding rural areas achieves to the best of their abilities and leaves school fully prepared to play an effective role in society. 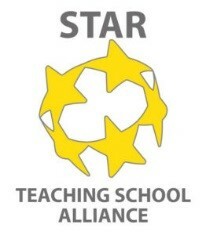 Riverside is participating in this collaboration, along with all the schools listed below, which is known as the Sherburn, Tadcaster and Rural Learning Alliance: the STAR Teaching School Alliance. Each school maintains its own unique identity, and remains governed by its own governing body, but we have created a formal partnership together to plan and provide the best possible education for all children in our area. This involves working together on specific projects, improving communication and coordination, and introducing support, monitoring and challenge between schools. We are very lucky that our Alliance has such a broad mix of schools, each bringing their own strengths and character to the group. Together we have the scale and the diversity to achieve real benefits for our children. This is an exciting and important opportunity for all the Alliance schools and we will keep you up to date with our progress in the future.